Time is money for professional photographers and creatives… and in short supply for amateurs too. So, a photo-editing console that’s been custom-designed to ‘super-charge’ the experience of using Adobe Lightroom – and make the process of selecting and editing shots quicker and more intuitive – comes as great news for all of us. Enter the Loupedeck: a system designed to make the editing of photos so simple that photographers of all skill levels have more time and energy to devote to the creative aspect. With Loupedeck being the only editing hardware designed specifically to control Adobe Lightroom, its design has been tailored to perfection based on feedback from professional photographers. From the ground up, it's been built to enable rapid eye-to-hand coordination and to ensure creative decisions can be made quickly and effectively. So rather than spending your time clicking with a mouse, the tactile console places the controls literally in your hands. This allows for precise adjustments to be made on the fly and at the turn of a dial, flick of a switch or press of a button. There are customisable preset buttons for direct access to your favourite settings or actions. Buttons also allow you to choose which photos you like the most, and earmark them for editing or use later. With the largest control handling rotate and crop, smaller knobs afford adjustments to image contrast, clarity, shadows, highlights, white balance, saturation and more. These form a central section of the console, along with navigation buttons and the ability to zoom into, or enlarge a section of the image for fine adjustment. Unlike Adobe Lightroom on PC, you can make edits using more than one control simultaneously using the Loupedeck’s physical dials versus on-screen Adobe Lightroom controls. For example, you can adjust the Exposure and Contrast dials at the same time. All of these buttons can simply be clicked to reset them, while sliders allow for colour management and fine tuning of hue and saturation, and brushes can be activated and edits undone or re-done at will. It all makes for seamless operation, since each of Loupedeck’s buttons, dials and sliders correspond exactly to Lightroom’s interface. Compatible with both Macs and Windows PCs, Adobe Lightroom 6 and Classic CC version, Loupedeck is powered by USB 2.0, meaning that you just plug it into your computer, run the software set up process and you’re quickly ready to go. A before and after button allows you to compare images pre- and post-tweak, side-by-side, so edits can be reviewed at a glance, and you can quickly decide whether further adjustments are required. Plus you can edit photos while in Full Screen mode for a larger editing field – relying on the Loupedeck console, and not the on-screen Adobe Lightroom controls to make edits. Achieving the perfect edit therefore quickly becomes second nature. And by speeding up the workflow, it leaves you with more time to go out and take pictures in the first place! 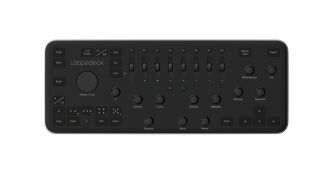 Due to its ease of use, Loupedeck can give your creativity an added boost, as you may well find yourself using Lightroom controls you hadn’t explored before adding the console to your workflow. The degree of real-time responsiveness and tactile nature of the set up also allows you to keep your eyes on the on-screen subject, while making gradual adjustments with the controls. Some of these small, more precise tweaks are simply a lot easier to make with Loupedeck than a traditional mouse, whilst swiftness of response helps avoid the tedium of repetition. Putting complete control at your fingertips and the fun back into image-editing, if you’re regularly editing a lot of photos in Adobe Lightroom, the Loupedeck could save you a lot of time - as well as giving you more power and control over your images.